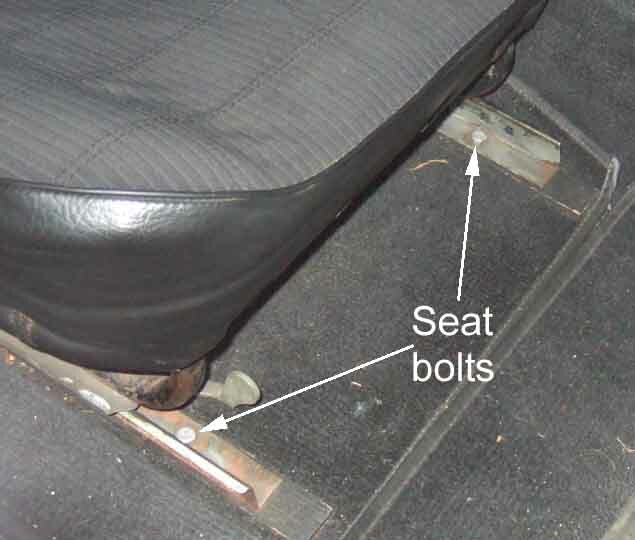 The rear seat bolts clearly accessible with the seat pushed fully forwards. This is the roadster, the V8 is identical. 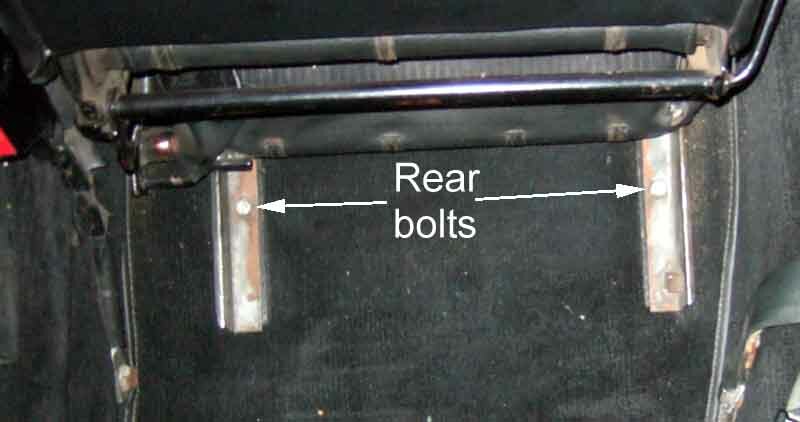 Front bolts clearly visible, but unfortunately covered by the frame just enough to prevent a socket and ratchet (either directly, via a 1/4" drive or wobble extension) on the hex head. However using a 7/16" ratchet ring makes removing these almost as easy as with a socket. Again this is the roadster, the V8 is identical. 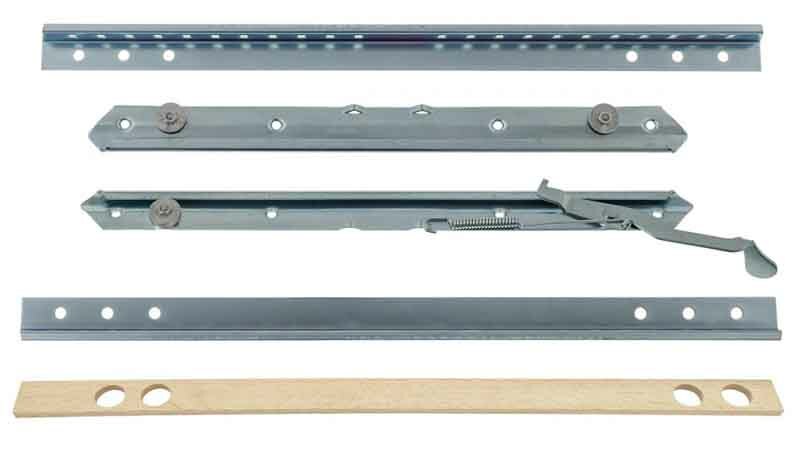 Runner kit from Moss includes slats with two sets of holes. The inner pair are for the MGB, I had to cut those myself when I replaced mine in 1989/90 as they came with the inner hole at one end only. Spacer thickness is 0.34", slat thickness is 0.21". 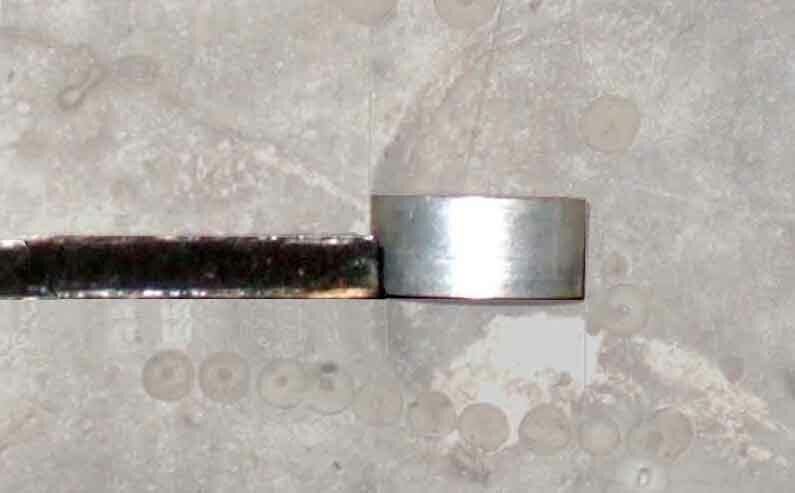 The spacer diameter is 0.733" and the slat width is 1.18".